Texas CASA partners with the CASA community to be a voice for abused and neglected children through the power of volunteer advocacy and change in the child protection system. 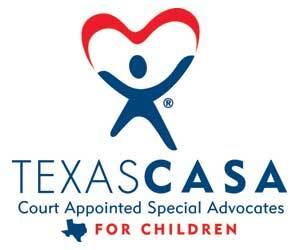 Texas CASA provides resources and services to 69 community CASA programs that cover 206 counties in the state. These resources and servicers are designed to help CASA staff and 7,200+ CASA volunteers in Texas advocate for foster children so they may reach a safe, loving, permanent home as quickly as possible.